The first real rapping in the Dutch language has always been a topic of discussion. Ofcourse it got pushed to a higher level around the mid '90's by the likes of OSDORP POSSE and EXTINCE but there were attempts long before that, some more meaningful than others no doubt! It is said that Rotterdam rappers BLONNIE B and DEF RHYMZ were doing Dutch rhymes on stage in the late '80's but as far as vinyl releases go there's not a whole lot to mention. Here's four releases that definately should be seen in the zeitgeist they were made in! In 1980 a Dutch coverversion of the JOE BATAAN track "Rap o clap o" was released on RCA records by DANNY BOY. The track was called "Repper de klep". 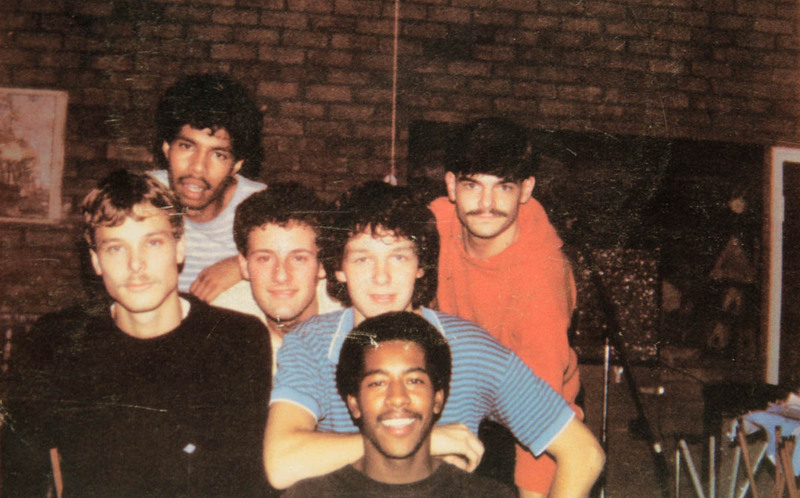 This was recorded early 1980 when the two top spots of the Dutch Top 40 hitlist were occupied by rap records: SUGARHILL GANG's "Rapper's Delight" and JOE BATAAN's "Rap o clap o". Someone must have had the idea to jump the bandwagon and do the same in the Dutch language. The result was a track "rapped" by a 13-year-old school kid, talking about his frustrations on the matter of everyday homework from school. It wasn't much of a success: the record only charted #38 in the Dutch Top 40 hitlist at the end of March 1980 and remained there for two weeks, although it faired better than KURTIS BLOW's classic "The Breaks" which didn't even get in the so called "tipparade". It was clear that rap music was considered a gimmick at that time and was not taken seriously. To be honest: this attempt did not help the acceptance of rap at all, nevertheless EXTINCE paid hommage to the record in 2007 by sampling the record for a track also called "Repper de klep". DANNY BOY returns that same year but this time with a very credible track!! I only found out about this recently (thanx again J4!). The track "Diskomix" is a greatly produced funky, boogie, synth track. The Dutch rapping is still a bit corny but very bareable I must admit! The guy raps about making discomixes in his bedroom and driving his dad crazy playing them loud. Production was done by HAN GREVELT and PAUL NATTE and the mixing came from the hands of RUTGER KROESE who we would here more of in the years to come. As corny as "Repper de klep" but luckily a whole lot more funny was WIJK 7's 1982 release "Voor je het weet, ben je gek!". This obvious cover of "The message" by GRANDMASTER FLASH has a guy rapping about troubles in society in a real thick accent as spoken in Dutch city The Hague. "Tis net een jungle die stad, tis geen wonder want deris altijd gedonder"
Recently I got introduced to this track by J4 (thanx T). 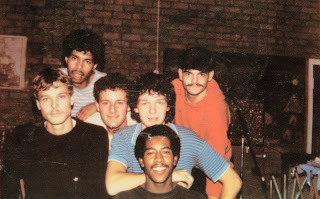 It's a fun party record with Dutch rapping that's pretty good considering this is 1984! 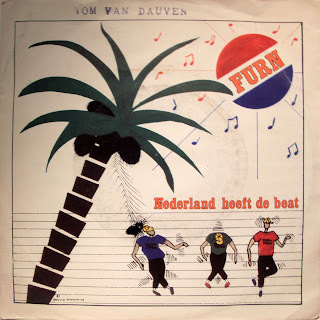 The group is called FURN and the track consists of a very decent boogie production with vocals that talk about this new phenomanon called electric boogie in the streets of Holland. Seems this is the 2nd release on a Dutch recordlabel called "Ashok records". Not too much more info to be found except the brain behind the track was a guy called STANLEY KANHAI. In 1986 the radiowaves must have been dominated by holiday tunes. Ofcourse MADONNA had her smash hit "Holiday" and soon after MC MIKER G & DJ SVEN (I think they came from Belgium....) released their infamous "Holiday rap" into the world. But I guess the suffering didn't stop because behold; HAAGSE HARRY EN HOLLANDSCHEVELDSE HENDRIK dropped the ultimate bomb "Holland rep" (undertitled "Dutch version holiday rap". The track is basically MADONNA's "Holiday" instrumental with 2 guys "rapping" about a holiday can be best spend. A guy with a big accent as spoken in city The Hague is all for lying on the Scheveningen beach with a beer in his hand, as an older sounding guy with a an accent as spoken in the Drente provence has more faith in spending vacation in his own provence. It seems the voice of the older guy is meant as a parody on old Dutch rightwing politician BOER KOEKOEK from the Drente provence. There is an instrumental version of Danny Boy's Discomix as well. It's a great track. FUNKY TRIBE ; we don't have one DJ but two!